West Brother's fiancee received a 2014 Ford Fusion Titanium as a replacement rental after two horrible days with the marijuana smell filled 2013 Toyota Camry SE she initially received from Enterprise. What follows is her review of the car. If you too would like to contribute an article, just contact us. Before reading my review on the Ford Fusion Titanium, you must understand a few things about my experience with cars. I have always been partial to Honda due to their reliability, practicality, and resale value, therefore I never considered an American car as an option. I am also definitely NOT a car enthusiast and will roll my eyes at my fiance when his gaze wanders away from me to a car (at least it’s not another woman). Then, I came across the Ford Fusion Titanium after a minor car accident. 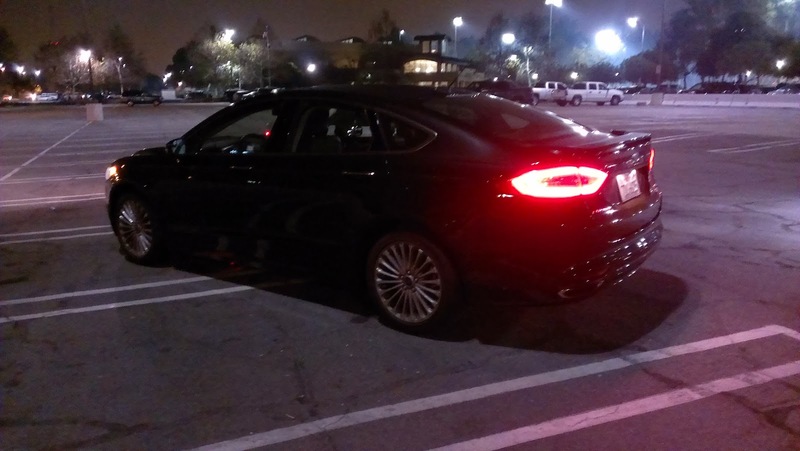 While my car was in the shop, I was given a black Ford Fusion Titanium by Enterprise to get around town. 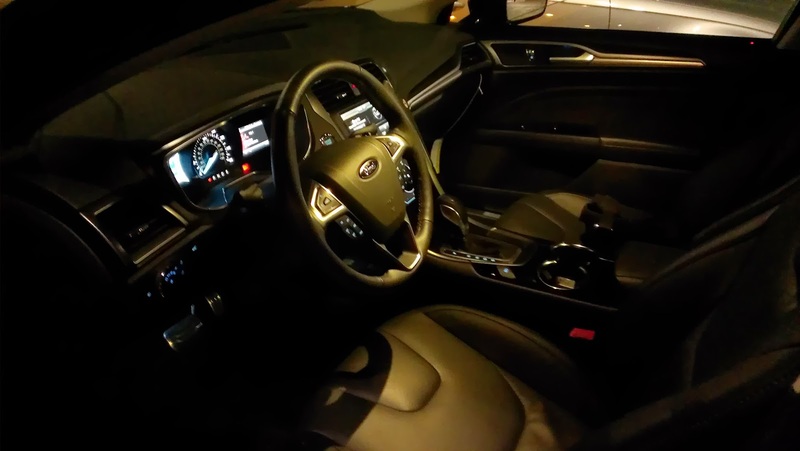 When I sat in the car, I felt like I was in a fancy, pimped out office - heated black leather seats, a push button starter, moon roof, and so much more! 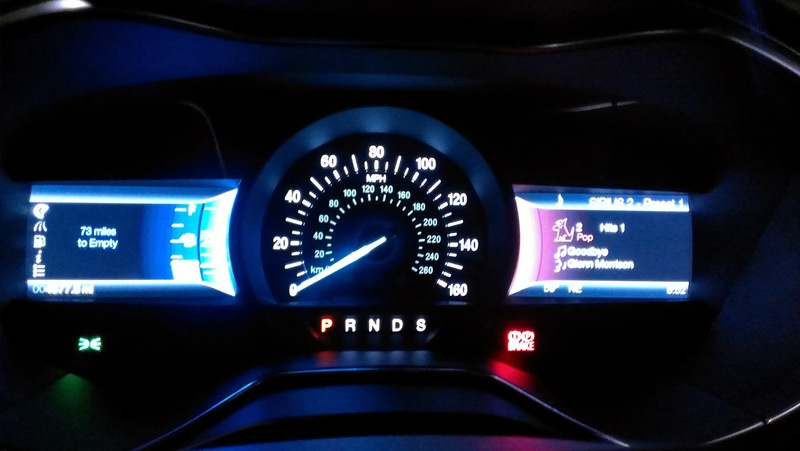 There were so many buttons and options that a newbie to car tech like me did not know where to start. Eventually, I ventured out of my comfort zone and played around with the touch screen system. Though I found it really cool, I did not like that I could not feel buttons to know which stations I was changing it to. Yes, I know I could change the stations on the wheel, but that required me to take my eyes off the road and to look at the dash. It was also neat that I could connect my phone to the car via Bluetooth and have the car read out my texts. The downside was that I had to fiddle around with the screen to get it to read them. Living in Los Angeles, traffic is a given headache. The Bluetooth functions allowed me to catch up with friends, making the time go by much quicker than just listening to music. I could see how one can get a lot of business done while driving, so long as you are not stressed out from the conversation, leading to distractions. Another thing I LOVED about this car was the smart entry. No more digging through my purse for my damn keys! With a grab of the door handle, the car would unlock. With a tap of a finger on any of the door handles, the car would lock. Magic (hey I warned you about my car tech virginity)! I didn’t even have to worry about locking my keys in the car as it wouldn’t let me when my purse and keys remained in the car. The key fob had a function to open the trunk, which helped many a times when my hands were full. The trunk space was so spacious! I actually took this car to Oceanside (about 1.5 hours south of L.A.) with two other people and we managed to fit a queen sized double high AreoBed (deflated, of course), 3 overnight bags, a backpack, 2 pillows, and some food. Now about driving the Ford Fusion Titanium- it was a car that I was excited to drive. I would eagerly walk to the car in anticipation of driving it. I found myself looking forward to the end of my work day so I could settle into the comfy seats and put my foot on the gas. The acceleration was quick and effortless. I felt power and excitement when I stepped on the gas. It was so thrilling that I didn't mind the lower gas mileage. At first, I felt guilt and shame for enjoying the car since it felt like I was cheating on my 2011 Honda Fit, but as time passed, I allowed myself the luxury of enjoying it. While driving this car, it was the first time I fantasized about a fancier car. When I got notice that my car would be out of the shop soon, I felt a sense of melancholy, as though it were the end of a sensual summer fling. After returning the car, I had separation anxiety and was a little depressed. My reliable and practical car could not compare. Two months later, my gas mileage has gone down since my right foot misses the reaction of the Ford Fusion Titanium. My love for this car is still present as my heart aches when I see one on the road. 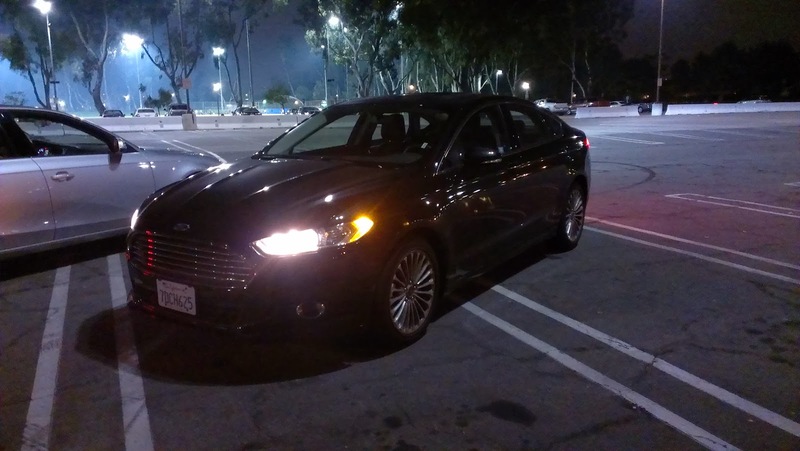 The night I returned the car, I wrote a poem called, “Ode to the Ford Fusion”.